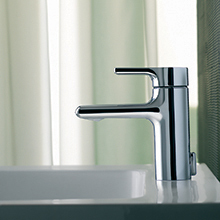 The integrated thermostatic mechanism regulates the flow of cold and hot water just fora second to suite your needs. The robust line, characterized by its powerful design concept, now has an extended and thus exceptionally ergonomic lever as well as optimal proportions. 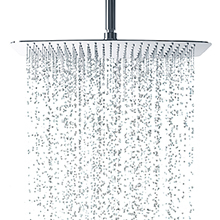 Thermostatic mixers primarily owe its popularity to its durability and reliable technology. These fittings are just the right choice for households with children, with the integrated temperature control providing reliable protection against scalding. In addition, they can be simply used to save water and energy. It's only natural you put your family's safety first and now, with our Cool Body innovation, you'll never have to worry about fittings becoming too hot to touch. Cool Body technology keeps the mixer surface cool and protect children's fingers from burning. 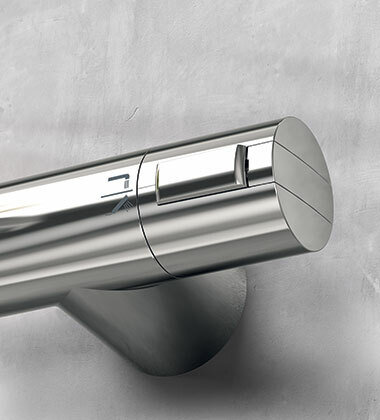 IS thermostatic mixers have temperature control button which is set at minimum 40º /usually at installation/ and guarantee you saving energy and money. Not only that, enjoy a safe temperature that's maintained at all times. 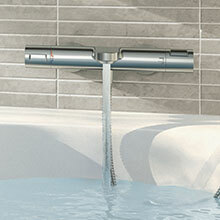 IS Thermostatic mixers do not waste even a single extra drop of water. This is because the water temperature is preset and is maintained constant throughout. 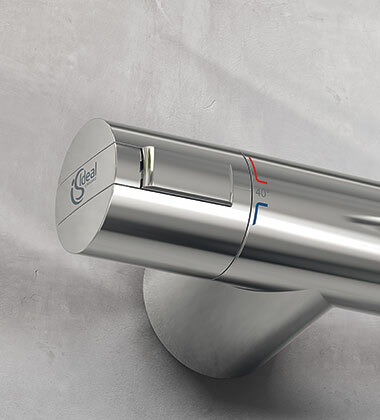 The thermostatic mechanism controls the warm and cold water flows, allowing you to save water and money. 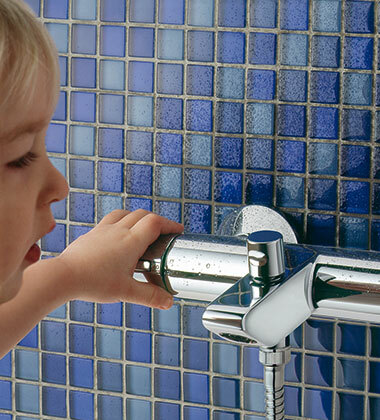 Eco-Stop function ensures you saving up to 50% of the water by restricting its flow. 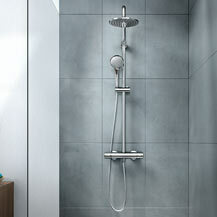 Our thermostatic systems are designed to make your showering a real pleasure. They combine beautiful design and multifunctionality. Sophisticated rectangular or round shaped shower heads and 1 or 3 functional hand sprays are offered to fit your desired bathroom geometry. 1. 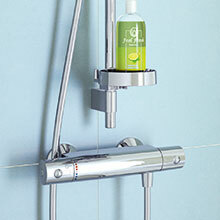 Shower heads have 12 l/min flow restrictor and hand sprays – 8 l/min flow restrictor. 2. 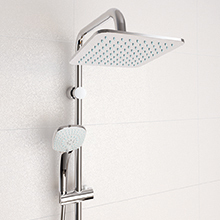 Anti-aerosol single function shower head reduces the risks of airborne bacteria. 3. Its silicon nozzles do not retain limestone sediment and are easy to clean. 4. 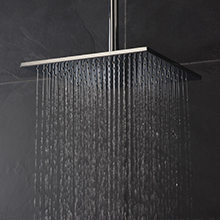 Only one slightly movement of the shower head and you can precisely adjust the angle of the rain sprays. 5. 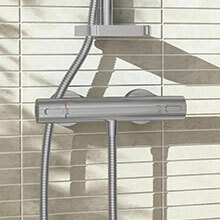 Smooth shower hoses don’t trap dirt and bacteria. Relax with Ideal Standard thermostatic systems.